The word limestone derived from lime means carbonates in terms of chemistry. Stones means solid bonds occur among various non-organic minerals. Thus, limestone has a combination of organic (Carbon-CO2) and minerals (Chiefly Calcium) along with other non-organic ions/minerals. Infusion of an organic substance with non-organic stuff makes limestone quite different from other natural stones pavers found in nature. Unique and different properties of limestone render it as industrially useful natural resources with diverse applications. Now, the question is where and when infusion takes place? In the timeline of Earth, after formation of the core, water has covered the almost entire surface of the Earth. The evolution of life and living creatures has taken place under the sea water. These living creatures under the water were capable of forming calcium carbonates in different combination and properties. Thus, calcites & aragonites became primary sources of the skeletons of the living creatures living in the sea and outside the water. Therefore, right from single to multi-cellular animals, Diatoms to Mollusca, and big fishes have contributed a lot to the formation of limestone. 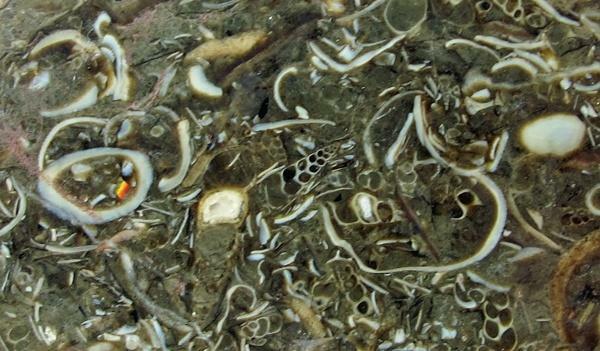 The mingling of living creatures after their death with non-organic minerals resulted in sedimentary rocks with limestone. 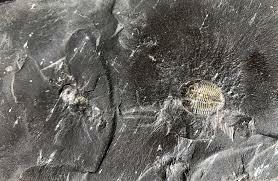 The dead living creatures termed as fossils hence rock consist of fossils known as Fossiliferous Limestone. Brachiopods, gastropods, crinoid stems, and hard-shelled Mollusca are forming macroscopic size fossils. Most of the limestone varieties are made up of the macroscopic size of fossils and forming grains in the rocks when cutting in transverse section. 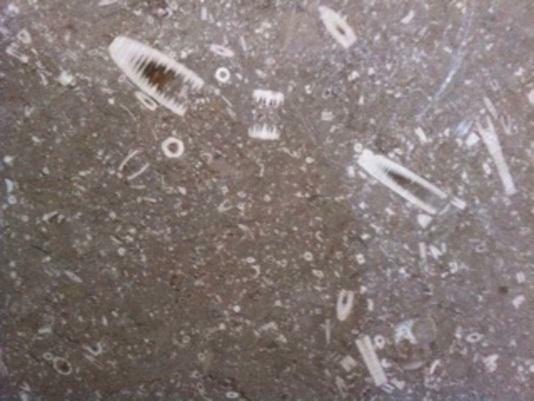 Diatoms, single-celled, and two layered multiple celled organisms are forming microscopic size fossils and recognized just as traces of fossils in the limestone. Granular appearance only possible when a big pool of fossils accumulated at a place/places and deposited/sedimentation occurs. The formation of different types of limestone depends mostly on the water pressure, temperature, pH, and ion concentration like various conditions/environment in different depth of seawater. Apart from under the water formation, limestone formation also takes place on territorial surfaces where freshwater is flowing on the surfaces like rivers, streams, and lakes. Freshwater deposits of limestone also happen in the groundwater reservoirs or underground water streams precipitating from the surfaces as well as flowing from one underground reservoir to another. Granular design occurs naturally in limestone/calcite, and the primary causes are types of fossils embedded into the limestone during the sedimentation process. Hydraulic pressure, pH, and temperatures have significant contribution in color, strata, and other properties of limestone. In the absence of fossil embedding in limestone, chemical precipitation of calcites or aragonite occurs. It can happen with deposition of calcite with supersaturated meteoric water, which used to find in caves where groundwater precipitates the minerals. They may be crystalline, clastic, granular, and massive. For instance, you may find crystals of calcite, quartz, dolomite or barite in the line of small cavities in the rocks. With the pace of time, these crystals precipitate and form a mineral coating, which are cementing the rock grains. Colors and textures (Especially weathered surface textures) of limestone depend upon the impurities they contain, such as sand, clay, iron oxide, organic remains, and other materials. It formed along waterfalls, streams, and around hot/cold springs. Deposition of calcite/calcium carbonate takes place through evaporation of water. It is resulting in a chemical reaction between charged particles called ions and have no roles of living organisms to form calcites at all. It is also referred to as thermogenic or hot spring travertine. Due to its sturdiness and non-slip surfaces, it is highly used in paving patios and garden paths. After proper finishing, it also installed as floors. In modern architecture, it is suitable facades, wall cladding, and various types of floorings. It mostly found near waterfalls. However, it is a porous/cellular variety of travertine due to a combination of biological and chemical precipitations. 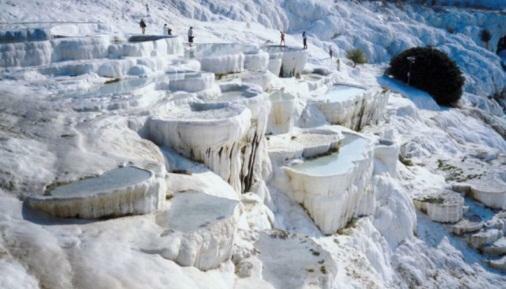 It also is referred to as meteogene or cold spring travertine. Due to easy workability, it is mostly used in cornerstones and architectural elements. It is poorly consolidated and composed of wholly fragments of shells of Mollusca, Trilobites, Brachiopods,and invertebrates. It consists of the macroscopic size of particles, which are transported, abraded, and mechanically-sorted. The formation takes place in high energy marine and lacustrine environments. A coquinite is a more consolidated version of Coquina and sturdy. After prolonged drying, coquina used in paving material and landscape decoration due to its complete natural look-n-feel. 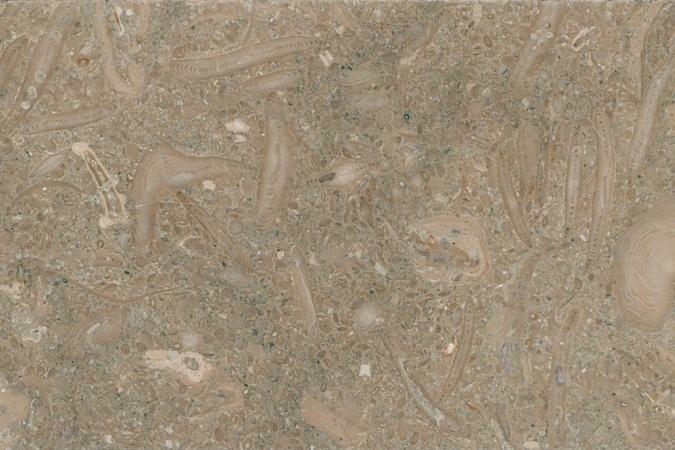 Industrial limestone also refers as Dolomite Limestone. Upon heating, limestone converts into a slurry. You can combine it with salt. Thus, it makes available for manufacturing various products, such as animal feeds, baking powder, bleaching powder, carpet backing, cosmetics, fertilizer, glass, paint and varnish, paper, pharmaceuticals, plastics, rubber, sugar, textiles, and toothpaste making. Chemical industry consumes very pure limestone in the production of various industrial products including ammonia, calcium carbide, calcium chloride, caustic soda, soda ash, sodium bicarbonate, sodium dichromate, and pure lime. Limestoneacts as a ‘Flux’ in the blast furnace when iron extracted from the iron ore. 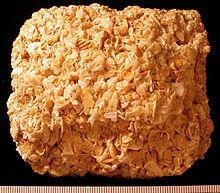 It helps in removal of silicon dioxide by forming calcium silicate (Slag) that floating on the surface of molten iron. Later on, it can be converted into the ‘Slag Cement’ for usage in road making. Fossiliferous limestone is crushed and mix with clay. The mixture then heated in kilns to make Portland type of cement. Calcium sulfate used as an additive to stop the early setting of the cement-water mixture. 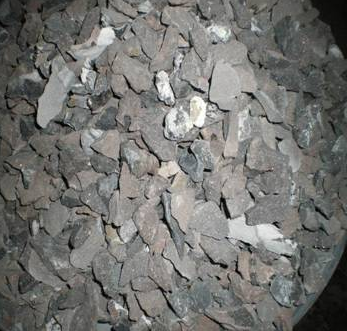 Limestone and dolomite often crushed to make aggregates, which are useful in road building, mortar concrete creation, and act as asphalt filler. Interior floorings & exterior floorings like tiles in homes, gardens, swimming pools, pavements including paving patios, and garden paths. 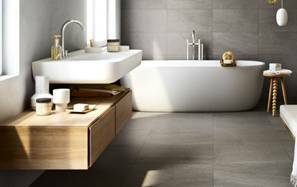 It is an ideal material for surfacing in bathrooms and fireplaces like spaces thanks to its non-slip property. 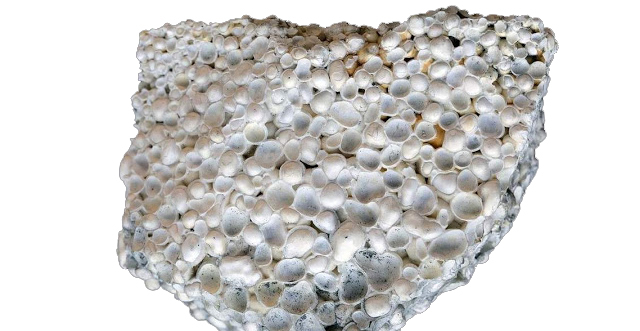 Where to Get Reliable & High-Quality Supply of Fossiliferous Stones? 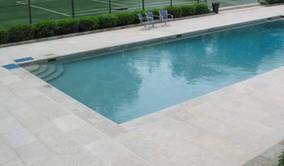 It is a natural thing that you may opt for Fossiliferous Limestone for your next construction project or renovating your buildings. Getting reliable, high-quality, and cost-effective supply indeed is daunting whether you live in the USA, UK or India. By partnering with ‘World of Stones’ you can assure everything perfect. Would you like to talk about your present and future requirements? Contact us. I like the helpful information you have provided in your articles. Thanks for explaining how limestone has high strength and durability. My wife and I would like to build a swimming pool in our backyard, and we are looking for a material that is strong and would be resistant to slipping. Because of the benefits limestone has, we will look into that for the material used to construct a swimming pool. Indeed. For more details visit our product page. Everything is very open with a very clear clarification of the limestone. It is definitely informative. Your website is useful. Thank you for sharing! great written and include approximately all vital infos. I would like to look more posts likewise.